A panoramic view of the event. There were a staggering number of people that turned out to watch the eclipse. Astronomy madness swept the nation last Thursday due to the last solar eclipse visible from the UK until 2026. Our previous head of Outreach and PR, Hannah Wakeford, hosted a special episode of the Science Hour on Xpression FM and organised an amazing viewing event to celebrate the occasion. We couldn’t resist going along. For anyone who is unfamiliar, a solar eclipse is caused by the Moon passing directly between the Earth and the Sun, causing a part, or the entirety if you’re in the right place, of the Sun to be blocked from view. Although the Moon is 400.3 times smaller than the Sun, it’s 414.3 times closer; effectively completely cancelling the size difference. From our vantage point in Exeter, we could observe the eclipse to nearly 86% totality. This means that 86% of the disk of the Sun was obscured by the Moon. 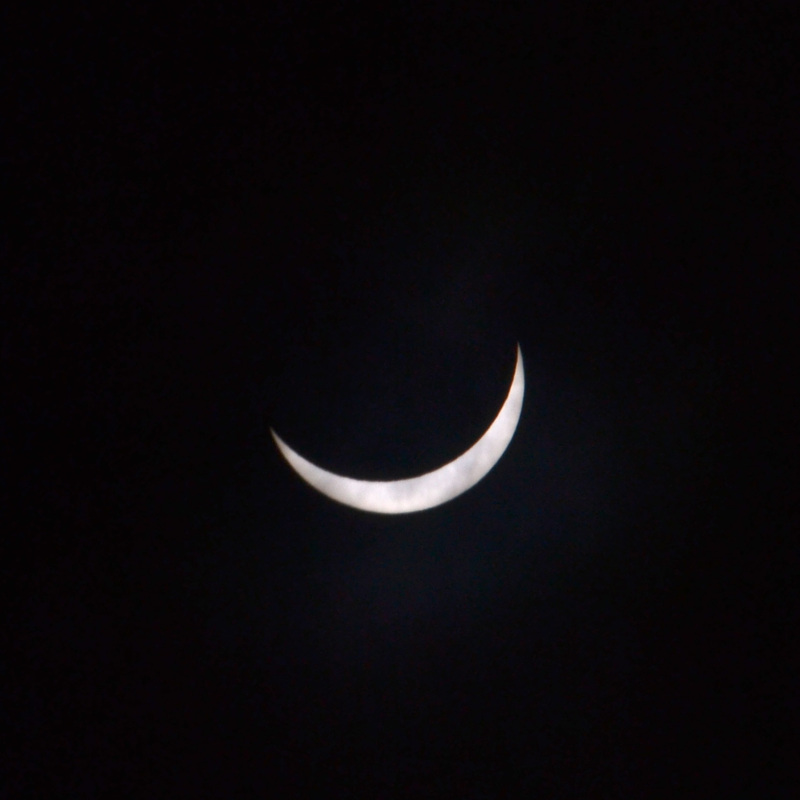 A view I managed to capture of the eclipse at 85% totality using a DSLR with a telephoto lens. The clouds were a little thick at first, but we were soon able to see the Sun peeking through the thick mist. 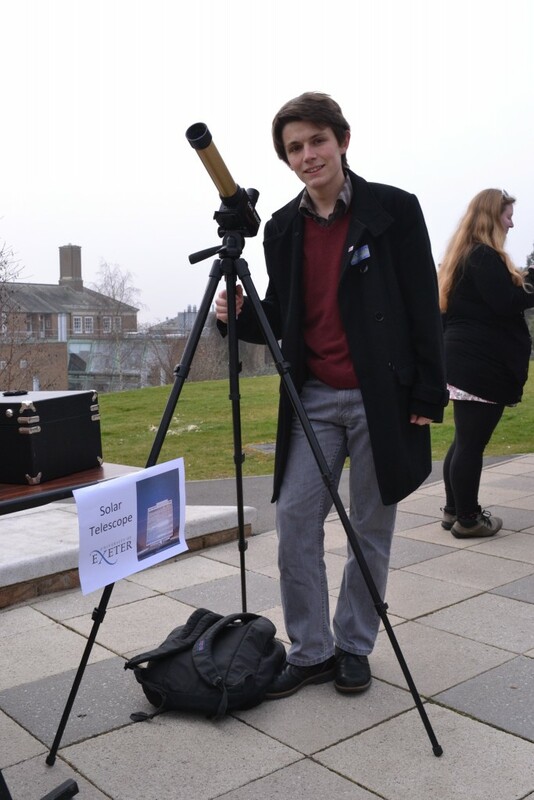 A member of our science team, Ben Sutlieff, was there with his solar telescope, ready to let people take a look at the event as it was meant to be seen. Ben Sutlieff pictured with his solar telescope. With this telescope it was even possible to see filaments in the solar corona. I think everyone would agree that the event was a huge success. Massive thanks to Hannah for organising and the rest of the University of Exeter’s astrophysics group for their invaluable help. by Sam Morrell – Science, Outreach and Press and Publicity teams. 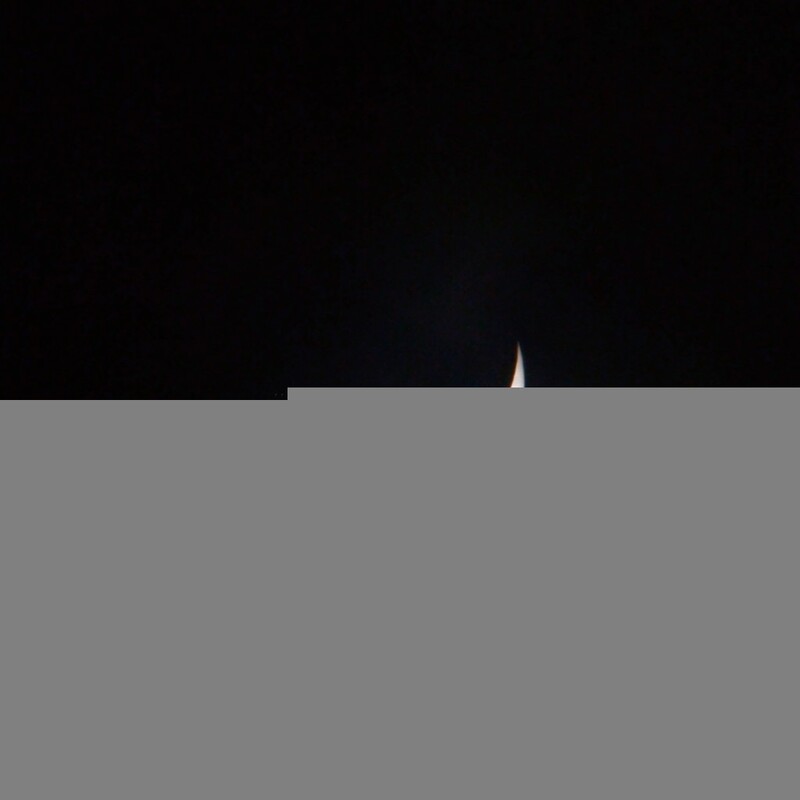 The award-winning Exeter Radio Telescope at Caradon (XRT-C) project is an official national project of UK Students for the Exploration and Development of Space (UKSEDS), based and run primarily by students at the University of Exeter. We are building a 4.5m radio telescope for use as an education and research tool for students across the country. This is a student led project from the very beginning with students working together to plan, procure, construct and operate the final project. Once completed, our first large-scale project involves using the telescope to observe neutral hydrogen in the Milky Way with an aim to weigh our galaxy. Proudly Powered By Wordpress. Theme By Sam Morrell.